Dear Parents, please note that we have introduced list of best schools in Noida for 2018 as per our latest survey outcome. The rankings are exhaustive and considers almost 45 schools from Noida. The new rankings also take forum based social analytics into consideration. The article below reflects year 2016 ranking…After an extensive research of schools in Noida, we list down some of the best schools in Noida at the moment. 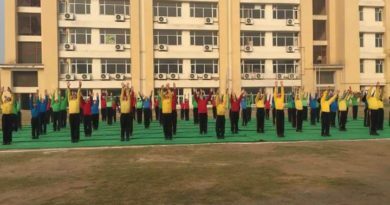 As you would find below, the list is arrived to on the combined basis of key parameters like Academics, Individual attention to child, Infrastructure, Parents-Teacher interaction and general safety standards for the child. Equal weightage has been given to all these parameters. Parents looking for a particular characteristic in school can sort this list by the same. Parent reviews, interaction with some of the schools, online portals and board results are some of the key inputs to this list. Note: Some schools including new schools (<4 years old) or some missionary schools are currently excluded due to lack of sufficient information and/or no response from school admin on queries. However, we shall continue to modify the list as we happen to incorporate more schools here. I am staying in Noida Extension (Gaur City 1) & planning for my daughter admission n Nursery in 2019-20 session. I have sorted DPWS, Lotus valley, Aster & Gaur International. Please refer http://go4reviews.in/2016/08/list-of-top-schools-in-noida-extension/ and http://go4reviews.in/2018/03/best-schools-noida-extension-2018/ for latest rankings and reviews of noida extension schools. DPWS without much doubt. Faculty is very good and it is the only school to have received British international school certificate in the region. I would rate them as DPWS>LVIS>Aster>GIS in long term and DPWS>Aster>LVIS>GIS in short term. Which is better between Khaitan School and Vishv Bharti School for end of end education if we have a choice between the two? Hello, both the schools are good and have scored 4+ out of 5 on parent’s feedback. VBS ranks higher on ‘value for money’. Academics is similar in both schools. Individual attention is tad better in Khaitan. The co-curricular and extra-curricular exposure is equally good in both schools. Hi, thanks for the prompt response really appreciate it. Another follow up question, I heard that there is not much focus on English language in VBPS if this is true? For us money is not a factor but the kid needs more individual attention which I believe is more or less same in both schools. Any other school that you would recommend. Thanks again. Ya, I felt too that focus on English is not much and strictness is more in vbps. Don’t know about khaitan. I think Amity, dps, and expressway international schools are better in overall development. I am going to shift in Noida extension next year.. please suggest best school for class 3 for my daughter near by. Pacific world school is really good. Fees is around 11k per month but then they don’t unnecessarily charge for small stuffs apart from uniform and books. They also have mid may meals for junior classes. Also, lot of extra curricular and sports option means parents save on outside expenses. faculty is very good. If you stay close to DPWS, you may choose that since it too has a very strong faculty. Can you share the fee structure of Amity Noida for class Nursery? Thanks. So budget will be one criteria for admission. And we want to buy our new house based on the school’s location. So if I want to send my kid to one of these 2 schools, then should we buy at expressway or noida Extension will also work? How much is annual fees. Overall fees would be around 2.75 lac plus admission fees in Shriram and 2 lac plus admission fees in Shiv nadar (for nursery). Shiv nadar’s fees structure is already on its website. Since both schools are on other side of expressway, it is advised to go for expressway only. Or if you are keen on Noida extension, you may explore DPWS as well. 1. How far is sector-121 from expressway schools like Shiv Nadar and Shriram – travelling time in school bus? Or is it an insane decision to stay so far? Should we rather choose to stay on expressway for these 2 schools? 2. How much fees difference between Shriram and Shiv Nadar? 3. Are they both similar in terms of overall development, inculcating good values and sense of responsibility in child, English speaking and understanding, logical thinking and aptitude. 4. Is amity also similar to these 2 schools? But we might not get admission in 1st class. We are moving to Noida Extension next month and have to get admission for our child in 6th grade. We’re willing to options in Noida and Expressway as well. Kindly suggest the best schools here as it’s very confusing to choose the best. Thanks. For 6th class, you shall choose between DPWS and RYan in Noida extension. You will have multiple options in Noida schools but admissions in good schools are mostly over. Isn’t Extension far from Expressway? How about Vishawa Bharti and Bal Bharti. They seems to be mentioned in top schools but i see hardly any parents discussing them. I wonder why? These are the most economical schools among the best ones. For someone low/medium on budget, these are obvious choices in the city. I recently moved to India ( in Sep’17) and due to off-cycle movement I could admitted my son in GIIS, Noida (Sector 71) in class Ist. Now I am looking for better school for class 2nd. My son knows spanish and English very well but I think he will loose advantage very soon…as most of the kids speak in Hindi. Is there any school which is pure English? where are you putting up? If expressway is approachable for you, you may try Shiv Nadar. shiv nadar provides no admissions for class I-V. Please advise how to apply. Please advise about Genesis. It is costly. Recent feedbacks have been mixed. I am seeking nursery admission for my son among JBM Global school Somerville international, DPS sec-132,and also mention the fees structure of these schools. JBM Global-Around 1lac per year, Somerville-Around 1.1 lac, DPS-Around 1.2lac. Please refer our latest ranking to see how they fare on different parameters http://go4reviews.in/2017/09/best-schools-noida-2017/. Please visit the schools once and decide. I am living in noida sec -134, near expressway. I am seeking admission for my son in nursery. Please advise how is MRIS near sector 7x crossing? My kid is in KG in GIIS noida sec 71… i am nt happy with the school.. i want to change the school. Pls suggest is Amity international sec 44 can be agood choice for over all growth. Or any other school should i consider.. i can shift near the future choosen school. i am seeking admission for my daughter in KG. little confused between Billabong or khaitan. kindly suggest. Khaitan is traditionally better. Billabong is good for junior classes but academically, no comparison. How is Ryan international Noida? Can anyone throw some light on the acads and extra curricular activities! It is good with focus on academics and discipline. Has shown good results. Decent co and extra curricular exposure as well but its mostly limited to intra school. Very less at inter school level. Congratulations. Keep participating in PTMs and make sure individual attention is provided to the child. All the best. both are of similar nature. DPS gives u benefit that tomorrow if parents are transferred, getting admission in dps in other city is easy. this year, result of amity was a bit better. You must go for DPS Noida itself unless budget issues. after 2 years, you can switch to another DPS in Delhi if need be. how is somerville international on noida expressway? good on discipline and has good senior class faculty. although there have been some reviews of approachability issues. infra also has a lot of scope for improvement. Hi How is Indus Valley Noida? Academically good. Would suggest for higher classes. Please check http://go4reviews.in/2017/07/nursery-school-admissions-noida-2018-2019/ for admissions for 2018-2019 session. How is the Genesis Global School academically ? It has shown decent results. Please refer http://go4reviews.in/2016/08/class-x-cbse-results-of-noida-expressway-schools/ for more details. In a fortnight or so, we are going to update cbse results for 2017 for these schools as well. Can anyone tell me about fee structure of Mayoor School Noida? Hi , Thank you for previous answers , can you pls help on some more points also for end to end schooling. 1. Are academics in Lotus Valley better than Amity ? 2. How is the Manav Rachna school in noida ? 3. How is the Shiv Nadar School and Sommerville International school for end to end schooling in academics ? 1. Are academics in Lotus Valley better than Amity ? CBSE results of Lotus valley are a tad better than Amity. 2. How is the Manav Rachna school in noida ? Still growing. Have got mixed reviews from parents. So, its a bit like taking chance as of today. 3. How is the Shiv Nadar School and Sommerville International school for end to end schooling in academics ? Just from academics point of view, both are similar with senior class faculty of more or less similar experience. Thanks for the Extensive Research ! 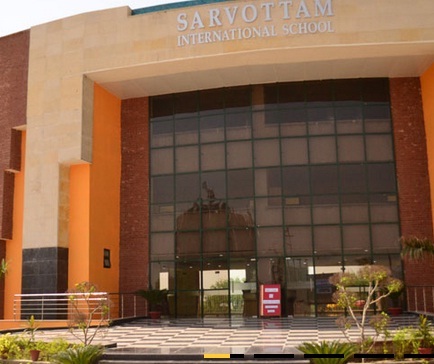 I am a resident of central noida and looking for CBSE board school for my daughter, Could you please suggest between Lotus Valley , Amity and Manav Rachna (Sec-51) International schools…. in terms of academics and infra only… irrespective my place of residence and fees. Already i have heard that SBS qualify both the criteria but admission is very very tough. Which class you are getting your child admitted to? Assuming you are expecting end to end schooling, It has to be LV followed by Amity followed by Manav Rachna on the 2 counts. Yes i am expecting end to end schooling ,On few more points i need your help. 1. Can i expect better academics in Lotus Valley than Amity ? 2. What do you say about Manav Rachna overall ? 3. Can we compare Step by Step with LV ? 4. How is the Shiv Nadar School for end to end schooling in academics ? Good on academics and discipline front. If you are looking at formal schooling, its a good option. We are moving to Lotus Boulevard Sector – 100 next week and have to shift my daughter to Class IV from Ambience School to a good school. Kindly suggest, it will be a great help, pathways is too expensive. Step by step, people say is a good school, shall try there though not sure. Yes, you must try step by step, thats one of the best and one of the most difficult one to get admission to in Noida. If you can afford 3.5 lakhs per annum, then Genesis is also a choice. Pathways, DPS Gurgaon are the best schools in Noida I must due to the fact that both of my children’s are studying in these schools. Great thank you. And how about Step by Step and any another to add in my list? I did applied to Sriram Millennium but after visiting school got different view. In what terms you got different view for Shriram Millennium…..It would be great help in decision making. TIA. In terms of infra specially like no smart boards, currently its only for class 4 and 5. AC is only in the corner of the room and not centralized. Thanks. I heard that academically Shiv nadar is bit slow, is it true? My son is academically bright but bit shy. From Millennium you mean the one at sector 41, right? Yes, Shiv Nadar lays little focus on academics in junior classes. But, he might find teaching more alike schools he has studied in. Nevertheless, their branch in Gurgaon follows same pattern and has decent academic results too for senior classes. Yes, by Millenium we meant sector 41 being closer to your place. Hi, I am working in MNC at expressway but staying at Indirapuram. Can afford up to 2Lakh/annum. My child studied in London for 2 years and is good academically too. Please suggest good school with holistic development of the child. I am open for both Expressway and Noida schools. You must try Shiv Nadar and Millenium school. You could also try Lotus valley international. Decide based on what you are most comfortable with. Millenium would be closer to your place. Hi, We are shifting to Noida sector 74 from west delhi. Looking for good convent or academic focused school in Noida in 1st standard for our daughter. Which is better – Somerville-22, Fr. Agnel, Apeejay-16A, Somerville International-E-way, Shriram Millennium. Fees should not be more than 10-15K per Month. Hi, I would strike off Shriram Millenium because of its fees. Of the others mentioned, Fr Agnel has been on top of parents feedback while Somerville-22 has been good on Academics. Wont suggest Somerville International at this stage. Very little extra/co-curricular activities and the focus is more on discipline than on Academics. It needs some time. I am shifting to Noida Sec-134. I am looking for a school for daughter to be in 5th Std. from April-2017. She is currently going to The Khaitan School, sec-40. Can you please suggest me, If I should move her from there to a school on Expressway, but budget on the same lines as of Khaitan. Is JayPee Public school or DPS 132 worth a change. For me Khaitan is a little distant, so wanna know if it is worth taking the travel pain or change is advised. Hi Ashwini, if these are the two options you have drilled down to, we would suggest to go for DPS 132. Its focus on academics has increased and for 5th Std., it looks like a good choice. The teachers in Millenium are more focused towards a particular child. If you are looking for long term academics, Mayoor might be better. Yes, DPS Expressway has some decent faculty but it is still not a comparison to some other schools on e-way. Very good discussion forum, really appreciate the efforts. Well, m looking a good decent school for my son (Pre-nursery). As of now, i have selected Mayoor School and The Millenium school (Sec 119) and is little confused. Kindly advise which school I should opt for. Thanks for the kind words. It would depend on where you stay. Both are decent but Millenium school has a more modern way of teaching. A child would be more comfortable there. Do visit the schools (which you might have already done) before you decide. My son is studying in class I in Mayoor School. I’m not dissatisfied in general… but is wary of how’s the school’s academic performance for higher classes as compared to other top schools. Should I change his school or not. I do not want to go for school with higher fees. Please advice. My son is studying in class- 1 in Khaitan Public School, Sahibabad. We are planning to relocate to Noida. Can you please advice some good schools with the maximum expenditure as 1.5 lac for a Year. If you are moving to expressway region, Shiv Nadar, Mayoor, Lotus valley could be tried. If you are moving to central Noida, there are plenty of options within the range. Fthr Agnel, VBS, Amity International and most of the others listed in the article fall in this fees range (off course, first year you will have to pay admission fees in addition). Can you please provide your reviews (in terms of academics & extra-circular) on Jagran Public school , Sec-47, Noida which is considered for Middle class people. Hi Ashish, we are happy that you brought about a very significant topic of schools that have nominal fees. 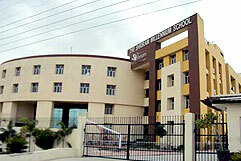 JPS (Jagran Public school) is a fairly decent traditional school. It had 72% average score in CBSE XII exams this year. Extra-curricular wise as well, they have reasonable options. It follows a traditional way of teaching and the student-teacher ratio is relatively higher. 1. Does anyone know the fee structure of lotus valley , noida ? 2. Also how is the school when compared to Step by Step ? Step by step is undoubtedly better for its more close to traditional schooling at the same time offers plenty of co-curricular and extra co-curricular facilities. Academically, the competition is stiff between SBS and LV. Since demand for LV is high, they generally start their sessions from April. This above information is 100% correct all the schools listed above are top schools in Noida with all the facilities, but there are another school named Aster Public School which is also one of the best in Noida and Delhi location. hello, i am planning to shift to noida sec 34 and am looking for some good school for my daughter in grade 8 in session 2017-18. kindly suggest me some school which ofocus on overall development of the child and is also good in academics. also when do most of the schools in noida open admissions for higher grades, if any.